Finnbogi Pétursson takes part in the group exhibition BY WATER – Icelandic artists on the shores of Finland from June 4th to September 4th, 2016. Hosted by the Pro Artibus Foundation in Tammisaari, Finland, the exhibition explores the nature/culture relationship through the theme of water, specifically as it is carried out in Iceland. 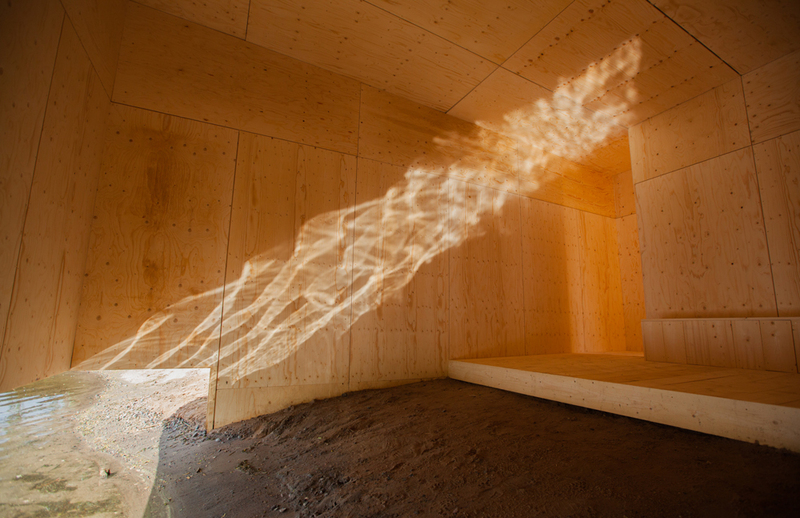 In Finnbogi’s site-specific installation, Tides2016, a tiny house is built astride a shoreline, exploring the borders created by movements of water and light.